When it comes to skin aging, it is helpful to think of two forces at play – external and internal. The external forces include things you can change such as sun and tobacco exposure. The internal are not easily avoided, such as hormonal changes that occur over time. Perhaps it may come as a surprise but many women experience a rather sudden change in their overall skin quality and appearance after the onset of menopause. 2. Skin Thinning – The deeper layer of skin, or dermis, gradually loses collagen. It is estimated that 2% of collagen is lost every year following onset of menopause. Should I consider Hormone Replacement? This seems like a logical next step, however you should understand the literature on this topic. There has been evidence for increased risk of stroke, heart attack, and breast cancer in some patients. Discuss this topic with your primary physician or another board certified physician. What about my skin care regimen? With menopause and skin changes, it is likely that an adjustment will be made to find the best skin care regimen for your skin type. If you have something that works – go with it! But if you are dissatisfied then consider the other “internal” factors at play. 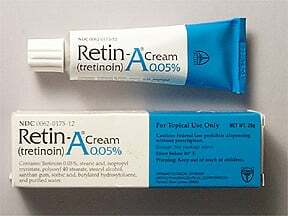 I recommend nearly all patients use tretinoin regularly. This Vitamin A derivative is great for improving overall skin health, skin turnover, and dermal thickness. Additional benefits include decreasing appearance of fine wrinkles and providing brighter healthier appearing skin. Vitamin C serums are another great for adding valuable anti-oxidants to your skin care regimen. See our blog post from last week for more information of Essential Skin Care products. Whether you think you’re ready for surgery or not, I love talking to patients about their options during a free consultation. I do not think there is one perfect solution for everyone and it depends on where you fall along the continuum of aging. As I say, Aging is a Beautiful Process not a Problem! Let me help you find the right solution. Have a great week and feel free to email me with any questions.